A collection of beautifully illustrated creation stories from the Quandamooka region by Quandamooka artists Sandra Delaney, Shara Delaney and Belinda Close. 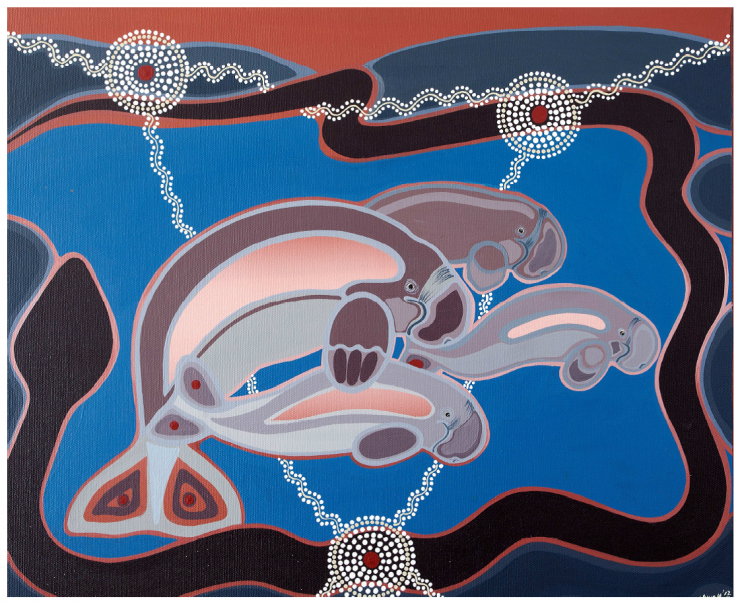 Image: Nuuna (Emily Delaney), Sandra Delaney with her three children in Quandamooka country (detail) 2013, synthetic polymer paint on canvas. Courtesy of the artist.